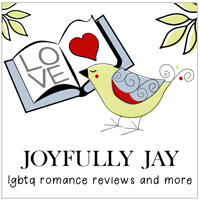 Earlier this week I linked to a piece on social media by author Christa Tomlinson – “Embracing Diversity in M/M Romance” – an amazing and thoughtful article that she originally published on her blog and cross-posted on Goodreads. She was able to articulate things I was feeling about the issue but was unable to put into words. In it she addresses the diversity problem in romancelandia, which has been in the spotlight recently due to the firing of Sarah Lyons from Riptide, the dismal statistics shown in the most recent diversity report conducted by The Ripped Bodice, and the damning fact that, in the RWA’s long history, no African-American author has ever won a RITA award, the industry’s highest honor. Tomlinson also pinpoints some of the major issues that need to be addressed and suggests solutions on ways we can move forward in our specific sub-genre of romance. Online, I said that I wholeheartedly supported Authors of Color and stories that featured characters with diverse ethnic backgrounds. I prefaced that support with the caveat that I had remained silent up to that point because I felt that it wasn’t my place as a white guy, to mansplain to anybody about the current state of race and diversity in romance. It took me a while, but I eventually realized that that was a pretty sorry excuse. My silent support was really no support at all. As Christa Tomlinson pointed out in her post, it was the deafening silence concerning this issue that was so hurtful to so many AoC. Silence from readers, silence from other authors, silence from the publishers of our genre. Perhaps, like me, because of the color of your skin, you don’t necessarily feel qualified or informed enough to speak on this issue. Perhaps you feel if you do speak out, someone online troll might shout you down and accuse you of playing “white savior”. It’s time we spoke up, regardless of our backgrounds or ethnicity, to make sure that AoC and the stories they tell are an integral part of the gay romance conversation. I’m a reader and a podcaster and the Big Gay Fiction Podcast serves as a platform for me to share my love of the genre with you, our listeners. I talk about and review gay romance novels every week. With more than one-hundred and thirty episodes in the backlist, I hope that my enthusiasm for the genre is obvious. I’ll share the work of AoC and stories featuring more diverse heroes as often as I possibly can. You have a platform too. You might not think so, but you do. Try new authors. Search out writers with diverse backgrounds and histories different than your own. Nothing says you support an author quite like buying their work. If you discover a book that you absolutely love, recommend it to friends, talk about it online. Small everyday actions can lead to big changes. In the stories we love to read, the heroes often face hardships on their journeys toward love – their searches for acceptance and community. Diversity is the cornerstone of our literary community. We can’t leave these remarkable storytellers to fight this battle alone. Together we are stronger. Love makes us stronger.